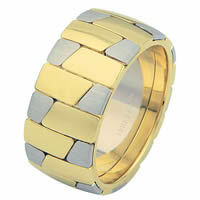 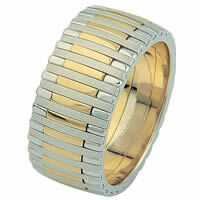 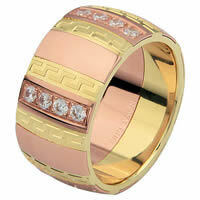 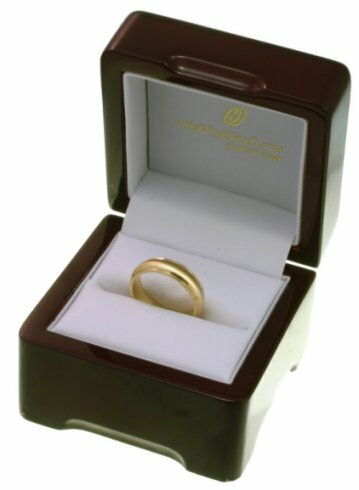 18 kt yellow and rose gold, comfort fit, 9.15 mm wide, wedding ring. 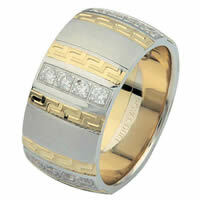 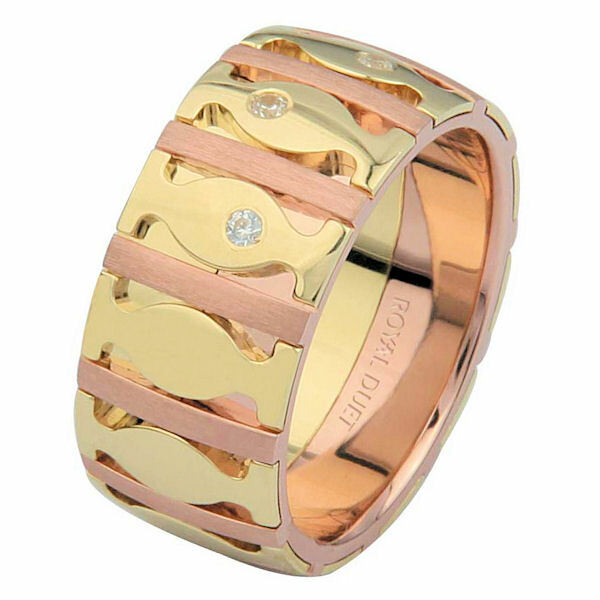 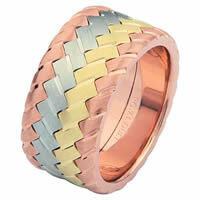 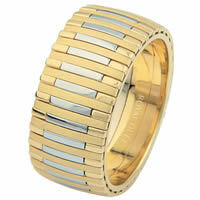 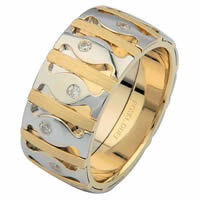 The band has a unique blend of yellow and rose gold fused together with diamonds set into the ring. It has approximately 0.10 ct tw round brilliant cut diamonds, that are VS1-2 in clarity and G-H in color. 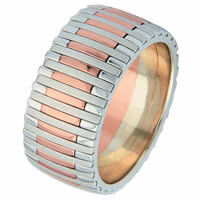 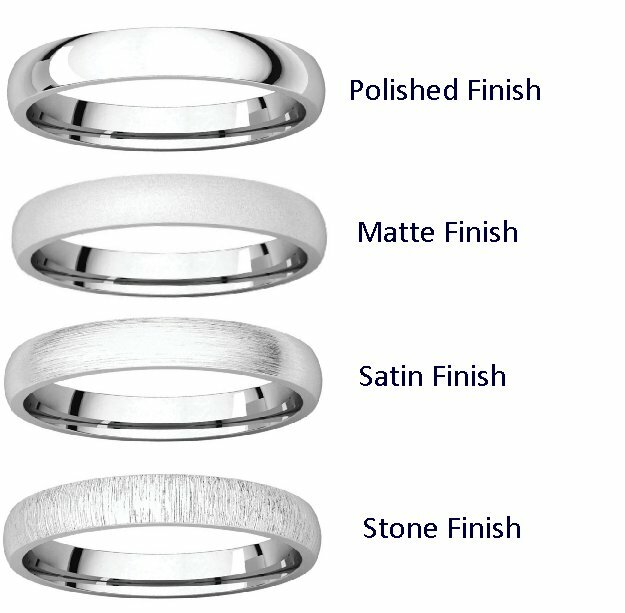 The rose gold is brushed finish and the yellow gold is polished.